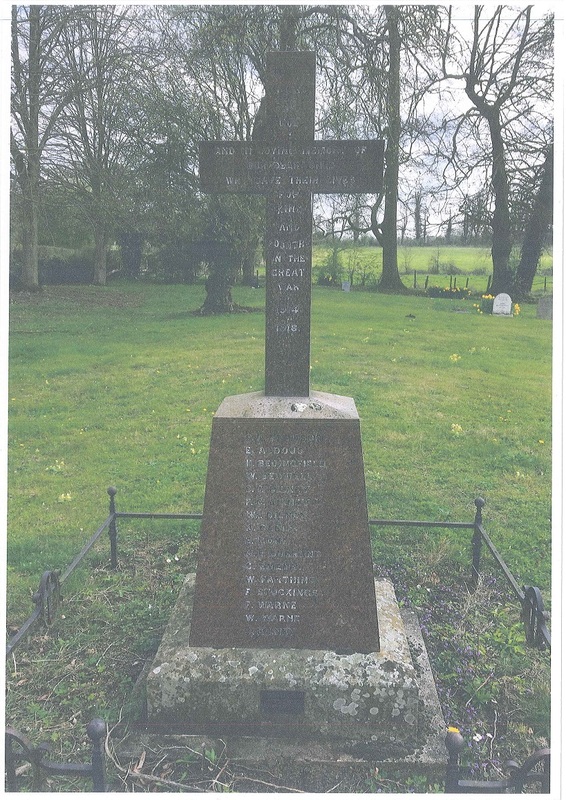 Brandeston war memorial has been awarded a grant from the Hopkins Homes War Memorials fund to support repair and conservation work. As part of the £500,000 Hopkins Charitable Fund announced last year, the award-winning developer committed to supporting the repair and conservation of East Anglia’s war memorials through a £10,000 a year donation to War Memorials Trust. Brandeston’s war memorial, located in the churchyard of the village’s Grade I listed All Saints Church was erected in 1920 following donations from the public and now commemorates the fallen of both World Wars. The memorial is a Latin cross made of red granite fixed onto a York stone base. The front face of the cross carries a World War I inscription with names sited on the plinth. The war memorial was identified as in need of repair and conservation works as the names have become very difficult to read. The £850 grant has been offered through War Memorials Trust Grants scheme, supported by Hopkins Homes, towards works which include cleaning the stone by hand, re-painting some of the raised lead lettering to match the original design, and removing rust from the ironwork railings followed by priming and re-painting. It is believed that up to 8,000 of the UK’s estimated 100,000 war memorials are in a very bad or poor condition. War Memorials Trust is the only charity in the UK which works solely for their protection. Since it was founded 21 years ago, it has administered almost £5 million to nearly 2,000 communities to repair and conserve their war memorials. “We encourage everyone to visit their local war memorial, check the condition of it and get in touch with War Memorials Trust if they have any concerns. We may be able to assist your project with a grant if works are needed.” Frances added. War Memorials Online is seeking to create a greater understanding of the condition of war memorials across the UK. Communities are invited to register on the site, upload photographs and share condition details.